The Pearl Islands are famous for their great varieties of marine life and some of the giants of the sea such as the magnificent humpback whales. Therefore, it is one of the top scuba diving destinations in Panama and offers divers a unique opportunity to explorer the depths of the Pacific Ocean. Because the islands are located in the Bay of Panama many of the Pacific marine life is taking a pit stop in the calm waters around the Pearls. The visibility of the sea water averages 7-12 meters (25-35 feet) and has a temperature of around 24°-29° C which makes diving a pleasant experience. Scuba diving in the Pacific Ocean is totally different than in the Caribbean Sea because the fish are more used to hard conditions and operate in way bigger schools. Most of the waters around the Pearl Islands are still in pristine conditions and offer scuba divers clear underwater views. The best place to start your diving trip is on the island of Contadora. There are various scuba diving tours that will help you get in contact with the marine life around the Las Perlas. 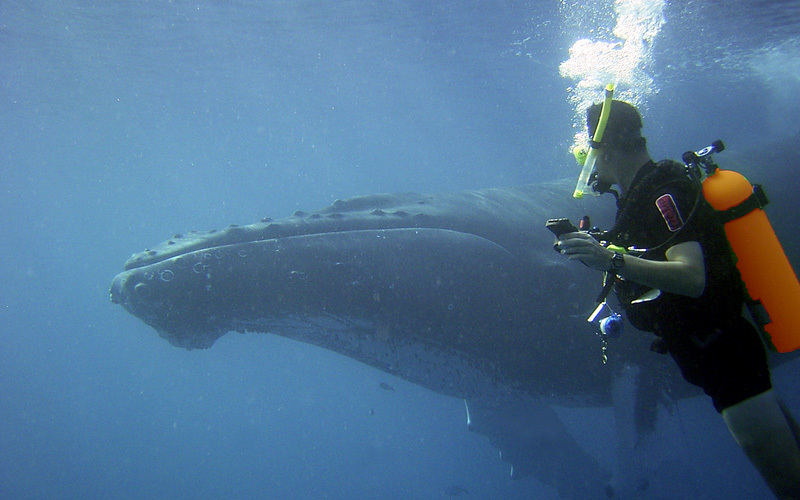 Our favorite is the scuba whale watching tour since these giants of the sea are a spectacular sight underwater. Missed out on the humpback whales? Don’t worry there are enough fish left to spot in the Pacific. 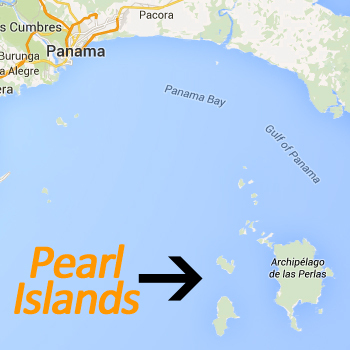 The best spots to dive are near the Pacheca and Pachequilla Islands. The marine life is unmatched and the visibility is clear around 7-12 meter (25-35 feet). Another great perk of this diving spot is that you can Drift Dive. The current is pretty strong in the Pacific Ocean and you can float along which feels like flying underwater. You will need to have special equipment such as buoys, ropes and reels. Don’t like the idea of breathing underwater? Maybe a snorkeling tour will help you enjoy the abundant underwater life. You can book various snorkel tours from the island of Contadora. The best snorkeling tour in town is probably that of the agency “Coral Dreams”. They offer a three-hour snorkel trip that takes you around Contadora Island, along the Boyarena sandbank and to the reef near Chapera Island. You will see great schools of fish and other Pacific Ocean animals. After the snorkeling near the reef they visit the Mogo-Mogo Island that became famous because of the CBS Survivor series. You can hang out there for a while and enjoy the natural pool in the middle of the jungle nowhere. There are various scuba schools on the island of Contadora, which offers different diving courses. Coral Dreams offer Open Water, Advanced Open Water, Emergency First Response and CPR, Rescue diver and Drift Diving courses. The prices are below the average of US starting prices for diving courses. Therefore, the Pearl Islands can be great cheap start in your diving career.